Last week, I discovered I needed new tires. 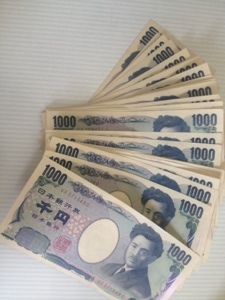 When I went to the bank, they only had 1,000 yen bills (about $10). New tires seem really, really expensive when you pay for them with so many thousand yen bills.